Hello everyone and welcome back!! I'm here to start your week off with a bit of a different project for my Studio Katia. 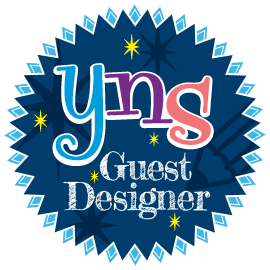 I decided to make some shaped tags (could be used as cards too, I suppose)! This idea came to me as I was drifting off to sleep on Saturday night...does that happen to anyone else? Just random craft thoughts pop into your head at any given time?? I used a regular hole punch to make holes in the top of the flowers for some ribbon to go. 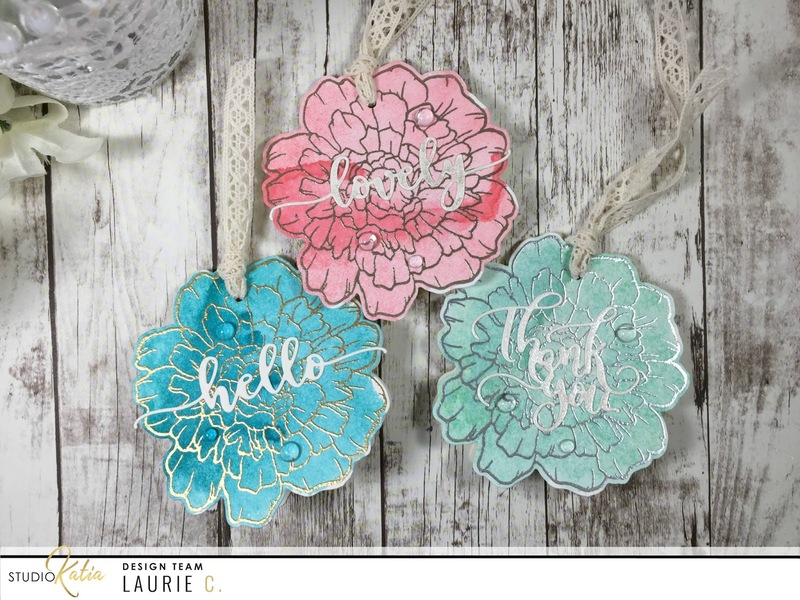 For the sentiments, I used some of the fabulous word dies that are available in the shop! 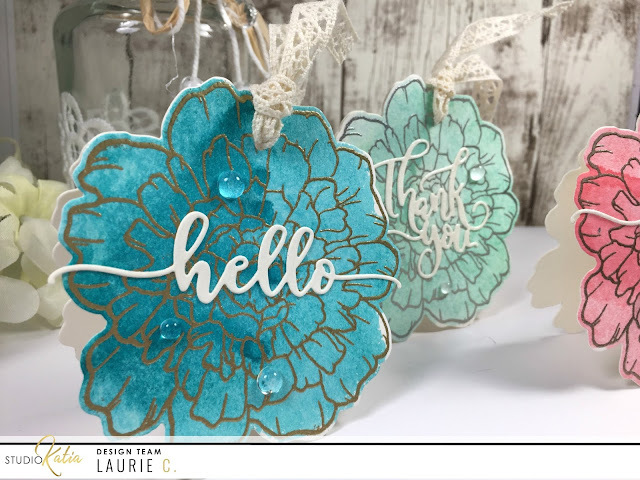 I die cut the "thank you" from the Thank You So Much Dies, and both the "hello" and " lovely" come from the new You're So Ranunculus dies. All of these were cut out with the same ivory cardstock. I used Multi Matte Medium to adhere the die cuts onto each tag, looped some ribbon through the holes and the tags were almost done!! 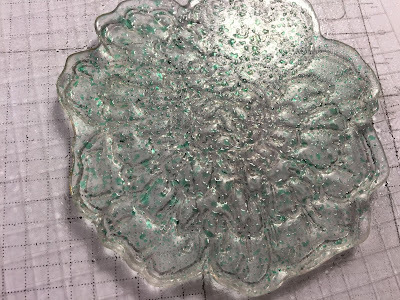 For embellishments, I used some large and small clear round dots from the Mixed Pack. And across each sentiment, I brushed some Spectrum Noir Clear Sparkle. 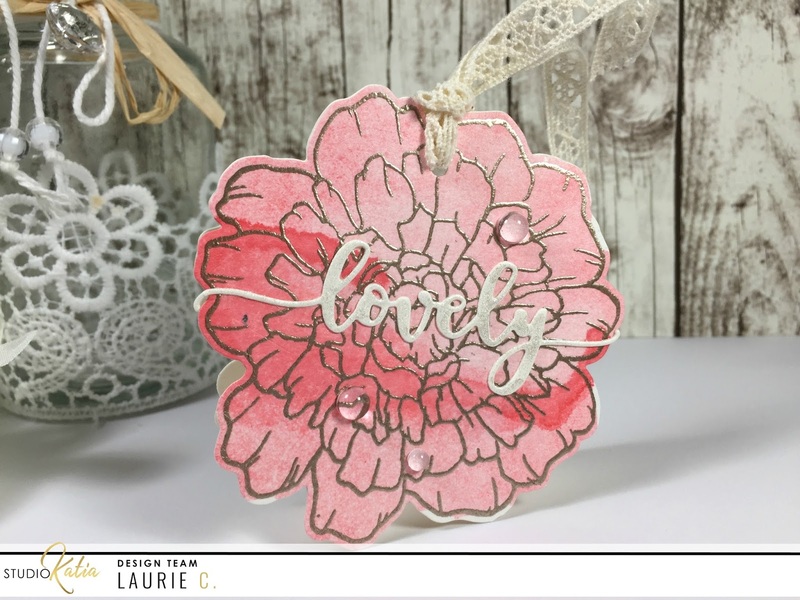 Once I stamped one, I had to keep going and make a few different ones! These were really easy to make and I love the variation of colour you get using the wet stamp!! Happy Monday!! 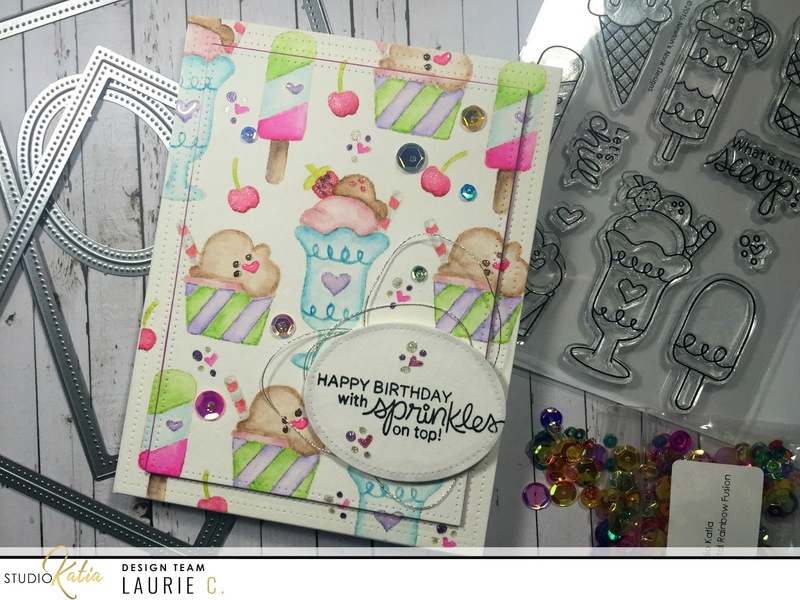 I'm back to share a sweet shaker card with you today! I really don't make a lot of shaker cards so this was a fun project! 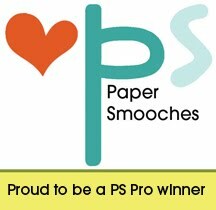 I started by cutting down a piece of white cardstock using the rectangle die from the new Dotted Patterns Set 1. 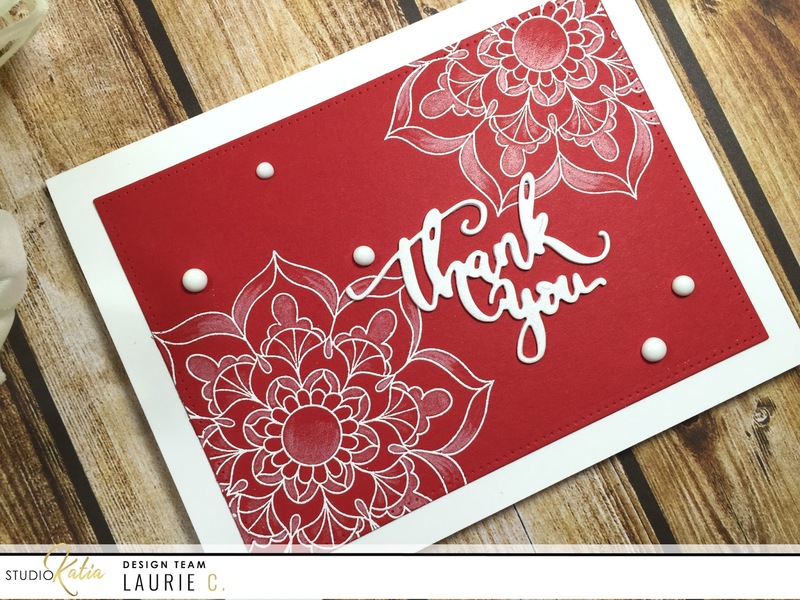 I then embossed it using a Polka Dot embossing folder to give it a bit of texture. 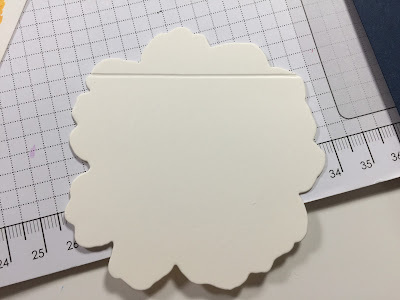 To create the frame for my shaker, I took the second and third (from the middle) dies from the Dotted Ovals, taped them together and ran it through my Big shot with some grey cardstock. 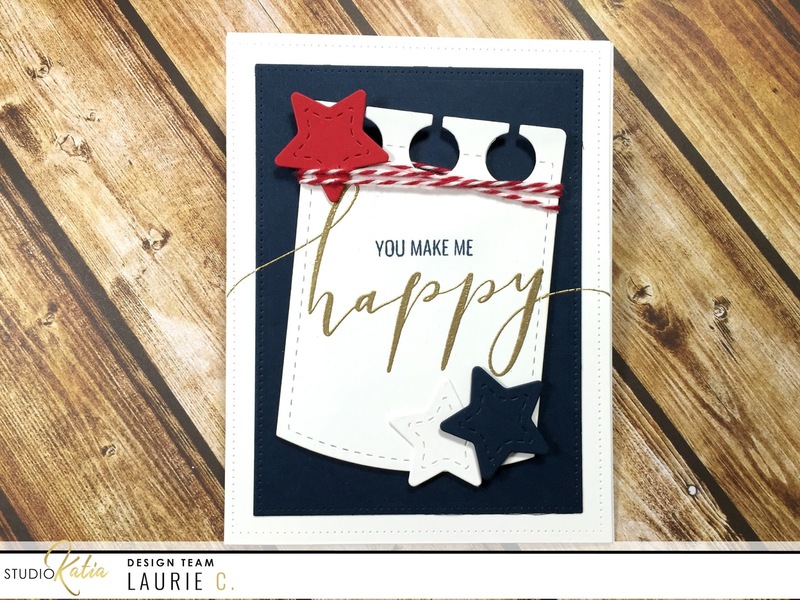 I love the dotted detail you get on both the positive and negative die cuts!! Before I filled the shaker, I stamped the word, friend, onto the embossed panel. 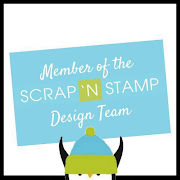 This comes from the And the Fox Says Stamp set. 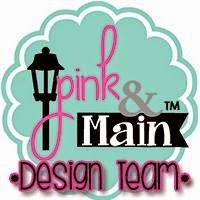 I used a few Fruit Punch Sequins, Pink Lemonade Sequins and some Space Silver Sequins for my shaker bits. I then adhered my frame (with acetate) over top. 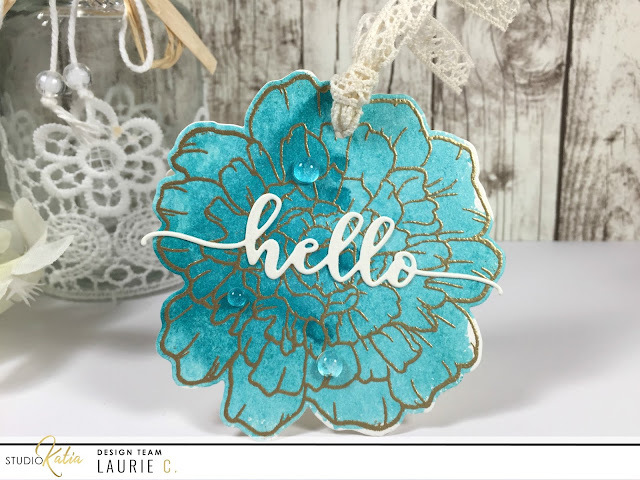 I had a scrap of watercolored paper so I took the "hello" die from the new You're so Ranunculus Bundle and die cut it out. This is the perfect size to adhere over the frame!! At this point, I thought I was done, but decided it needed a cute, little critter. 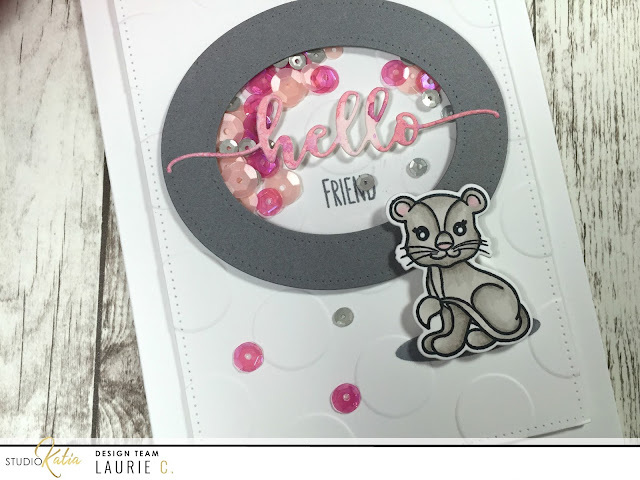 So, I stamped, coloured and cut one of the cute lions from the Birthday Lions stamp set. I foam mounted her just under the shaker element. And, of course, I added a few more Space Silver and Fruit Punch sequins on the panel as well!! I foam mounted the panel onto an A2 cardbase and voila!! Done! Thanks for stopping by today! Have a fabulous week!! Studio Katia Theme Week: Red and White or Red, White and Blue! Both of these cards were very easy to put together. Just some simple shading with a white pencil crayon for the first card and a little bit of die cutting for the second! 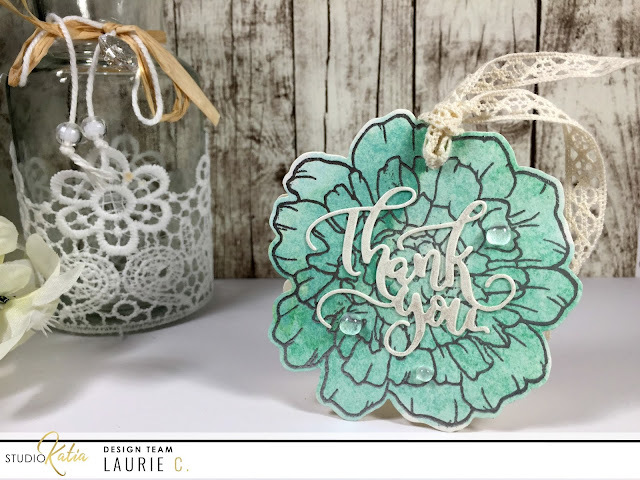 For all the details and supplies used for these cards, please visit the Studio Katia Blog!! Thank you so very much for stopping by today!! Hello!!! 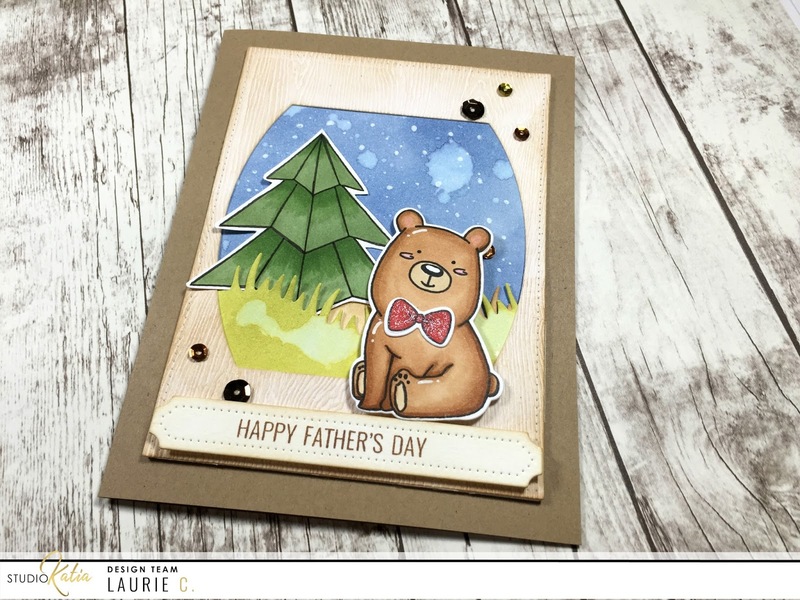 It's theme week at Studio Katia and the theme is...Masculine Cards!! I'm not going to lie, this was a big, big challenge for me. I tried again and again to make the perfect male-friendly card. This card features products from the latest release as well as previously released stamps and dies! Please visit the SK Blog to see all the details. Thank you for stopping by today!! Collaboration Blog Hop with Studio Katia and Newton's Nook!! Welcome to the Summer Fun Collaboration Blog hop with Newton's Nook Designs and Studio Katia! 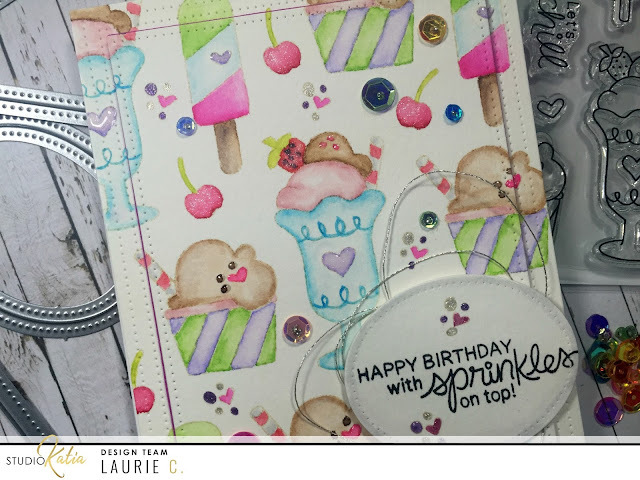 Both teams are celebrating the start of summer with fun and colorful cards using stamps from Newton's Nook Designs and dies and embellishments from Studio Katia. There's prizes too! Both companies have a prize to give away too so make sure you read all the way to the bottom of this post to see how to win! It is feeling a lot like summer where I live today!! The sun is shining and the temperatures are rising!! And what better way to cool down than with a delicious ice cream treat. 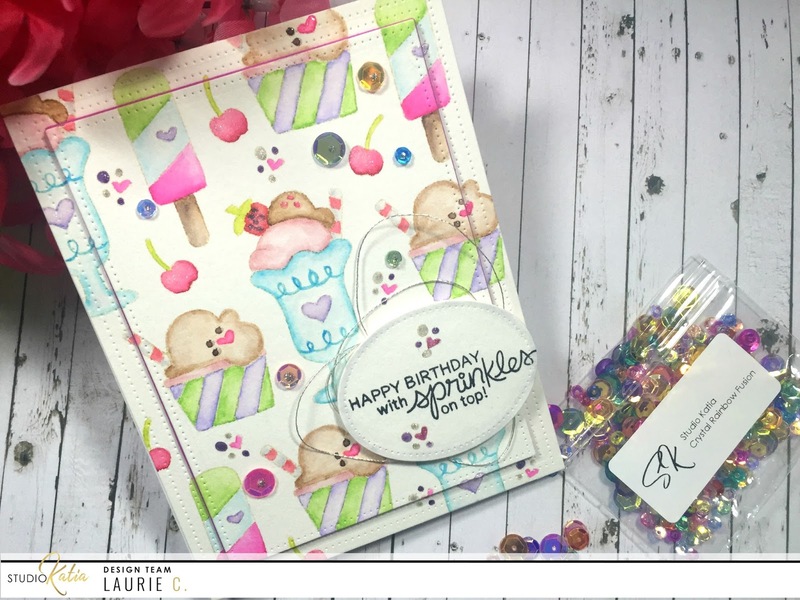 For my project, I used the incredibly cute and delicious Summer Scoops stamp set. This set is full of images that are just so fun to colour. And because the images have nice large spaces, I thought I'd do the no-line watercolour technique. 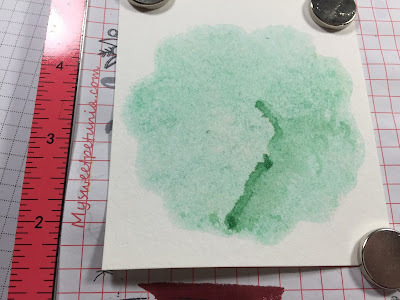 I first stamped a few of the images in a random pattern onto a panel of watercolour paper. 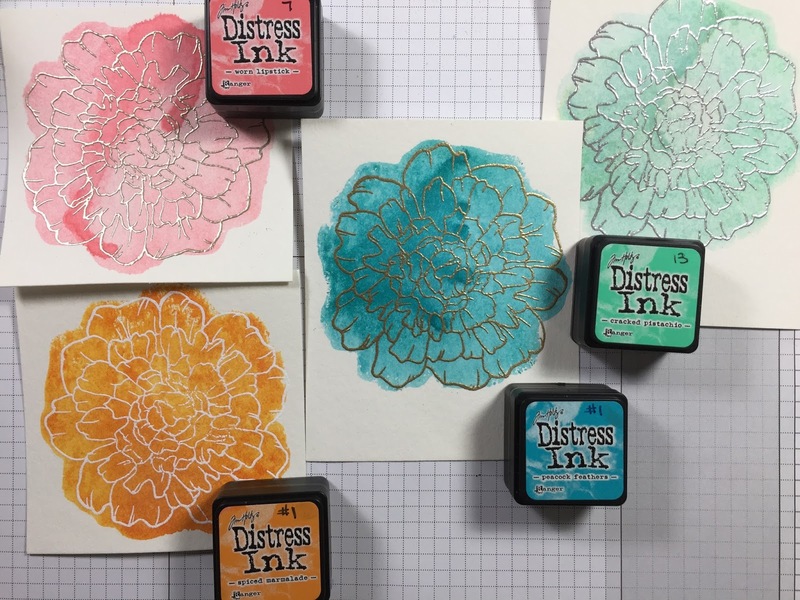 I used Antique Linen Distress Ink. I then chose some summer-y colours of my Tombow Dual Brush Markers. I like doing watercolour with markers the best because of the control I have. I didn't fuss around too much. Basically, I added one layer of solid colour, then went back to add a wee bit of detail. When my colouring was complete, I used the largest die from the Darling Ribbon and Dotted Frames Creative Die Set to get the dot detail on the outer frame. 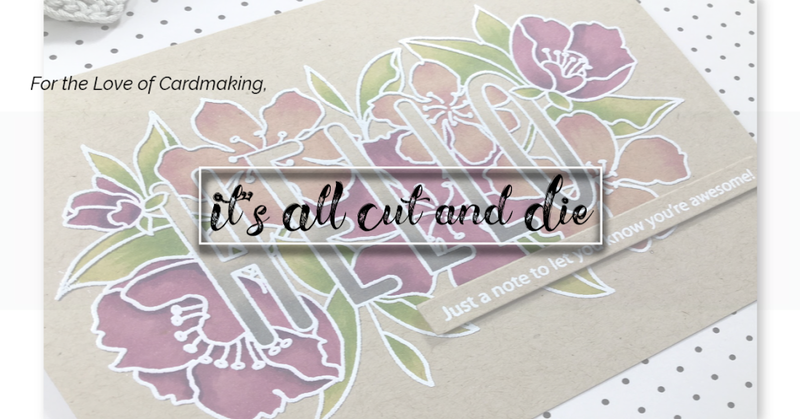 I then lined up the rectangle die from the NEW Dotted Patterns Set 1 Die Set to cut out the inner portion. I adhered the outside frame directly to my card base and used pink fun foam on the inner panel to give some dimension. For the sentiment, I used one of the NEW Dotted Ovals Creative Dies and stamped the sentiment with Versafine Onyx Black ink...it fit perfectly! Before adhering the oval down, I put a messy piece of silver thread behind it. And for a bit of extra sparkle and shine, I of course, used some of my favourite sequins, Crystal Rainbow Fusion!! Be sure to leave comments along your way on the hop for your chance to win prizes. Good luck and happy hopping!! Next on the hop is JENNIFER!! !